22 November a LARSSON™ delegation visited the Associação Brasileira dos Produtores de Amido de Mandioca: The Brazilian Association of Tapioca Starch Manufacturers. ABAM, with its headquarter in Paravanaí – Parana State, supports and represents the interests of 30 members of which 80% produce starch. Since October 2015 LARSSON™ is also member of the Association. In Brazil the annual harvest totals appr. 23 million tons of tapioca roots. 40% is processed into flour, 10% into starch by 72 starch factories. Half of all the factories is located in the South, whereas 99% of the starch finds its way in the domestic market. Simultaneously a delegation of the Thai Tapioca Starch Association visited the ABAM. Thailand is the largest producer and exporter of cassava starch in the world with an output of over 6 million tons annually. In a friendly and constructive atmosphere, ABAM and TTSA agreed to intensify their future co-operation in research, farming, processing etc. as they are facing many similar challenges. 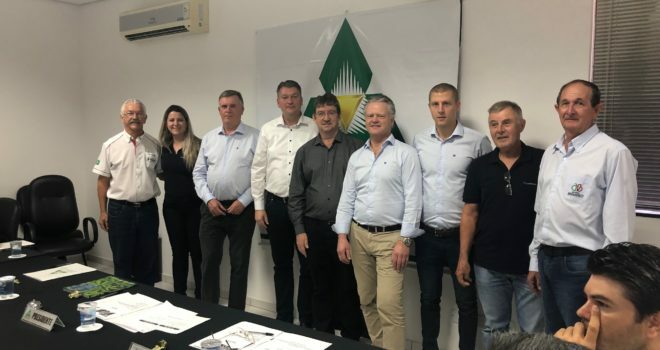 Being market leader in Thailand and gaining more and more ground in Brazil, LARSSON™ declared its full commitment to support these very positive initiatives as a key technology provider in both countries.